Whether you have a new startup company or an established business, if you want to make it grow successfully, then you might need to learn about 1-800 numbers. You may have seen them on television, in ads in the newspaper, or online, but you may not realize how significantly they can help your business grow. Here is a rundown on how 1-800 numbers work and how you can make them work for you. 1-800 numbers are toll free numbers. 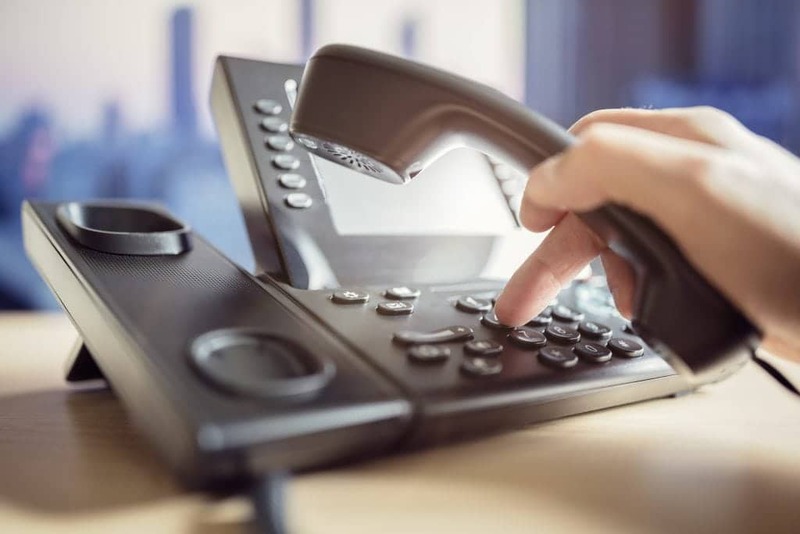 The Federal Communications Commission defines toll free numbers as “telephone numbers with distinct three-digit codes that can be dialed from landlines with no charge to the person placing the call.” Toll free numbers were first established in 1966 when they all began with 1-800. Since then, more toll free codes have been added, such as 888, 877, 866, 855, and 844. However, they all have equal credibility, and they all instill trust in a company. If you are a new business and you already have a growing reputation and good reviews online, 1-800 numbers can help you because it shows prospective customers that your company is capable of delivering the quality service they require. This is because toll free numbers create a good impression and give you an edge over your competitors. And let’s face it, in today’s marketplace, you need all the advantages you can get. Don’t fall under the misapprehension that you will need a different business line in order to take advantage of a 1-800 number. You don’t need to pay for any other phone lines, dedicated hardware, or expensive software. You can set up 1-800 numbers on your existing mobile device or landline. You can have your calls routed to the phone number of your choice, and you can change the number whenever you wish. This way, you will never miss a single call. A 1-800 number can help you grow your business and extend your reach. Because 1-800 numbers are not dependent on location, they allow your business a national presence, which gives you access to a much wider audience. Customers are much more likely to call your business when they don’t have to pay for the call. You can give yourself even more brand recognition by subscribing to a vanity number. Vanity numbers are easy to remember, and they can be used as a valuable marketing tool. For example: if you are running a taxi service you may consider 1-800-FASTCAB, or if you are a florist, 1-800-FLOWERS. You’ll get even more calls because your customers will remember your number more easily than your competitor’s number and they will keep coming back. 1-800 numbers are also invaluable for helping you to capture more business from your callers. This is because the service does not use regular caller ID, which can be blocked. Instead, it uses a special system called Automated Number Identification (ANI). ANI shows the exact number that the caller is using. You can collect these numbers and use them as part of your targeted marketing plan. You will have no more calls from “anonymous” or “unavailable” numbers, so you can always return calls. This is also useful for SMS marketing, which is becoming more and more popular for business usage. As well as the benefits already discussed, having a toll free number also increases customer satisfaction. It is simply because it makes you more readily available for customer inquiries. A customer may be interested in your products or services and they have some questions they would like to ask before they make a purchase. It’s easy for them to reach out to you because they can call your toll free number from anywhere, at any time. Whatever your business, there is probably a lot of competition out there. This makes it increasingly important for you to provide a reliable communication solution. 1-800 numbers provide an excellent solution because they facilitate quick and easy access to your business. They also make customers more inclined to recommend your company to others. As you can see, there are many advantages to having toll free 1-800 numbers. Don’t forget that you can take your 1-800 numbers with you even if your business relocates. Once you subscribe to a toll free number, it’s yours for as long as you need it. You can also add more toll free numbers as you need them. Contact Global Call Forwarding today so we can discuss your options for a 1-800 number. We are looking forward to helping you encourage communication with your current and prospective customers. Don’t let your company lag behind your competitors, step into the light and get your 1-800 number today.